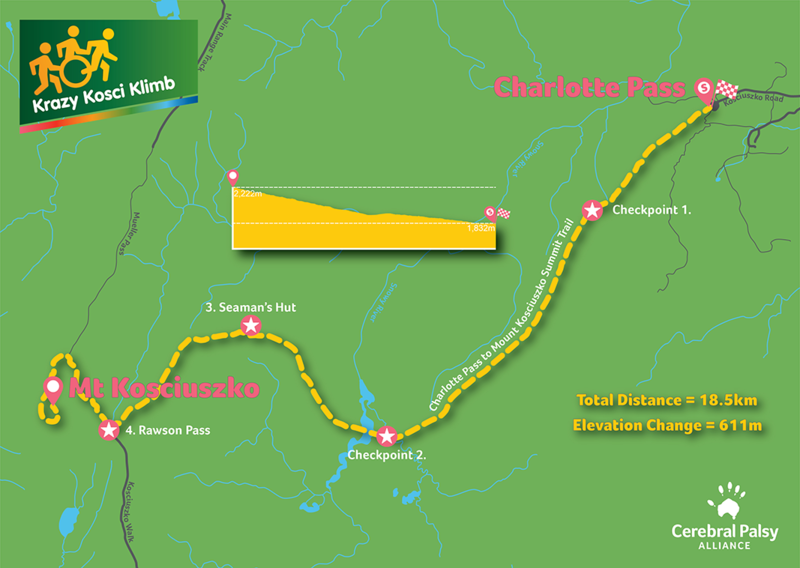 Below is a map of the Krazy Kosci Klimb event site. From our accommodation in Jindabyne we drive (approx. 40 minutes) to the start and finish line at Charlotte Pass. From there we trek the summit walk over the Snowy River, past Seaman’s Hut and up to Rawson’s Pass. From there it’s only another 1.5km to the top of Australia. At every 1.5km – 2km we set up Checkpoints, providing a place to stop, rest and re-fuel.